Ok so it's not quite spring yet, but we do have a few things coming up that take us through to the end of March. First off, we are part of the inaugural exhibition 'Being Social' in the new Furtherfield Gallery slap bang in the middle of Finsbury Park, North London where we will be showing a version of our 'London Wall'. It opens this Saturday afternoon. Next up; we'll be showing a new projected version of 'Flipped Clock' as part of the exhibition 'Mirror Neurons' at the National Glass Centre in Sunderland. The exhibition is curated by Sarah Cook for the 'As slow as possible' AV Festival which launches at the end of next week in Newcastle and Sunderland. Then we have our desktop documentary, 'Flat Earth' showing in the next Travelling Gallery exhibition, which launches on 2nd March at Inspace in Edinburgh. We've also completely revamped our 2001 online artwork 'e-poltetgeist' for the Canadian journal 'BleuOrange', which goes live on 20th March at 0300hrs GMT. 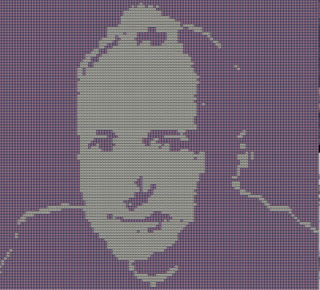 And finally, our new artwork, 'A live portrait of Sir Tim Berners Lee (an early warning system)' will be part of the major new exhibition, 'Life Online' launching in the National Media Museum on 29th March. Do come and see the work if you can!